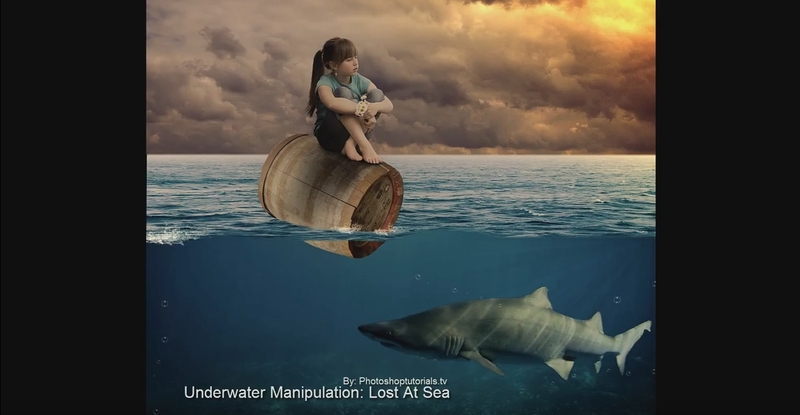 There are lot of layer and selection techniques demonstrated to create such a photo, and also using masks can be learned by following this tutorial. And see the shadow of the girl: This one is done using selection of the girl’s shape, duplicate, perspective transform, applying opacity and then gaussian blur – very cool effect. And in the end he is adding some light rays on a layer which is one of my favorites.